The people were all wearing big hats; some are very fancy with flowers on it, just like attending a Royal Wedding. Well, it doesn’t matter; it’s the prestigious horse race festival of Churchill Downs in Louisville, Kentucky. Kentucky Derby is one of the oldest thoroughbred horse racing since 1831, where the race anticipation just last for two minutes, for that reason the event is called “The Most Exciting 2 minutes in Sports”. From the time the horse contenders’ run-off from their pen two kilometers ahead to the end stripe, the ecstatic and yells never stop until they reach their finish line. People from different places come here just to witness this exciting moment of stake celebration. Introduced and founded by Colonel Meriwether Lewis Clark, Jr. (grandson of William Clark and nephew of George Roger’s Clark), the racetrack was incorporated as Churchill Downs in 1937. When Lewis Clark or also known as “Lutie” return to home from his trip in England (Epson Derby) and Paris, France (Grand Prix De Paris) attending some popular horse racing, he organized his own association named Louisville Jockey Club to raise money building horse training facilities. The land or the racetrack called the Churchill Downs was named after John and Henry Churchill, relatives of Lewis Clark who provide the property for the racing. The 137th annual Kentucky Derby is just the first step for winning the Triple Crown. The next point for the race is the Preakness Stake that will be held at the Pimlico Race Course in Baltimore, Maryland in about a day and several hours from now, so start buying your betting tickets. After this Preakness Stake race, the Belmont Stakes will be the last spot for the crown which will be held in Elmont, New York. Who won the Kentucky Derby 2011? It was the mighty Animal Kingdom. He was crowned as the Kentucky Derby king last May 7, 2011 after winning the tight race. This was his first run on a dirt course, before he was only running on turf and synthetic field. John Velazquez, the jockey of Animal Kingdom, supposed to ride Uncle Mo, but after the news that horse (Uncle Mo) is having some complications with its health, he was drop out for the game. Coincidentally, the pointed rider of Animal Kingdom, Robby Albarado, accidently broke his nose, so he decides that he couldn’t ride the horse. This was like a destiny for both horse and rider. Is this a sign that there will be a new Triple Crown champion? What do you think? Find it out on the latest updates and maybe you’ll win the lucky stake. 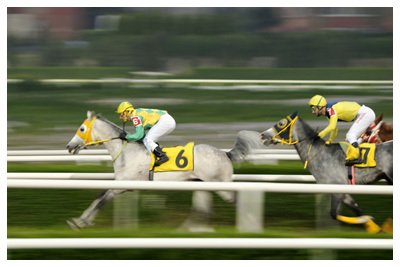 To get more information about the Kentucky Derby 2011, visit this page.